Hello! Welcome to A Sampling Bee! Thank you for stopping by. Today, I share with you Froodles! 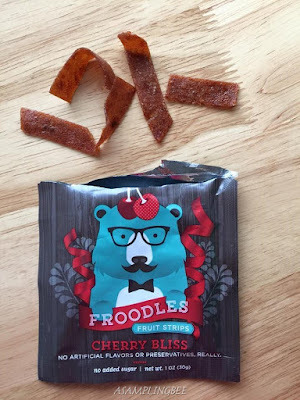 Froodles are yummy fruit strips. Read my review below! 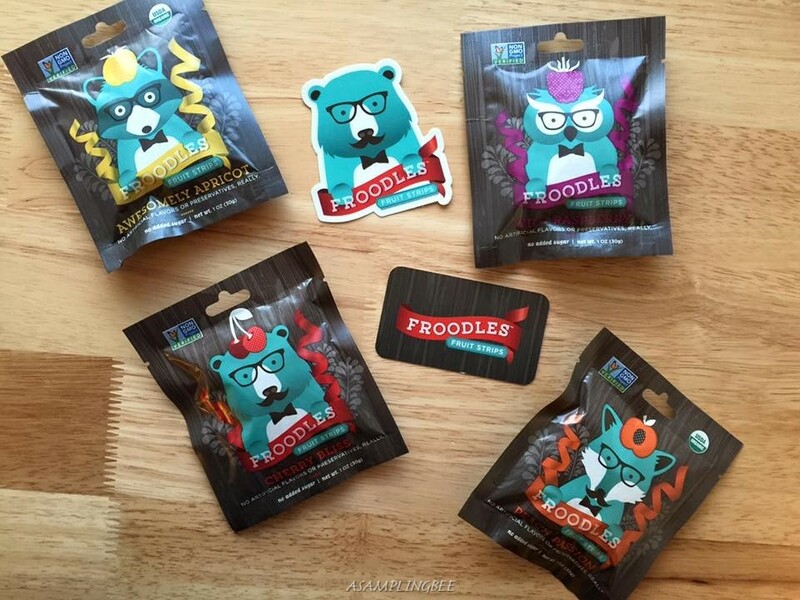 Froodles started in 2013 by Bill. He is the founder of the company and dreamed of creating delicious fruit strips as snacks. Froodles is dedicated to making healthy fruit strips with minimal ingredients. 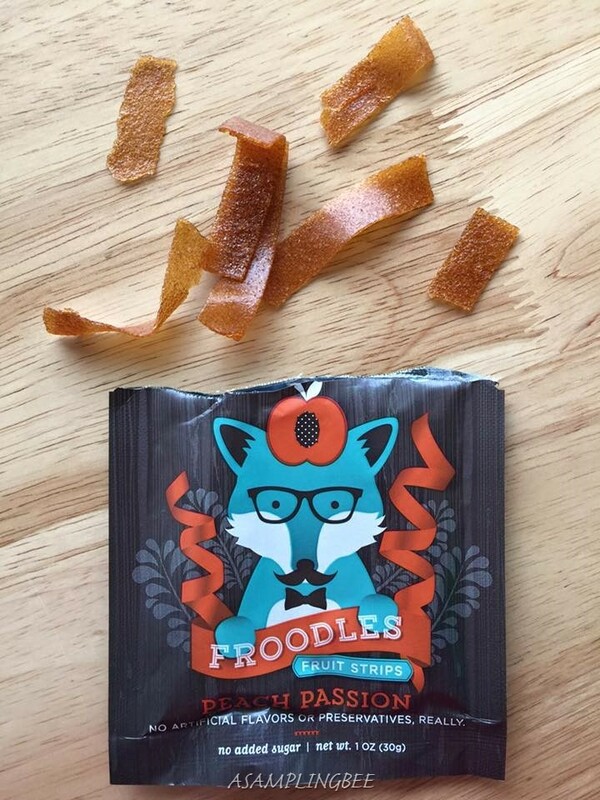 Froodles uses the whole entire fruit to make this leathery snack. Even the skin! The skin is where the fruit strips get their awesome colors from. Froodles purees and mixes all of their ingredients and produces their fruit strips in Colorado. 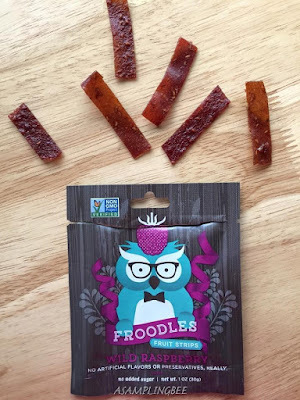 Froodles supports their local Colorado farms by getting all of their produce from them. 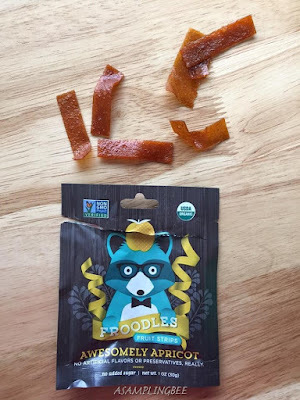 The fruit strips are made with 4 ingredients or less. Fruit and organic extracts. These leathery fruit strips are loved and enjoyed by all ages! You can purchase Froodles in two different sizes. 1 ounce pouches and 3 ounce pouches. The 1 ounce pouches are great for on-the-go. Throw a few in your diaper bag or purse and you have a healthy snack for the whole family to enjoy! 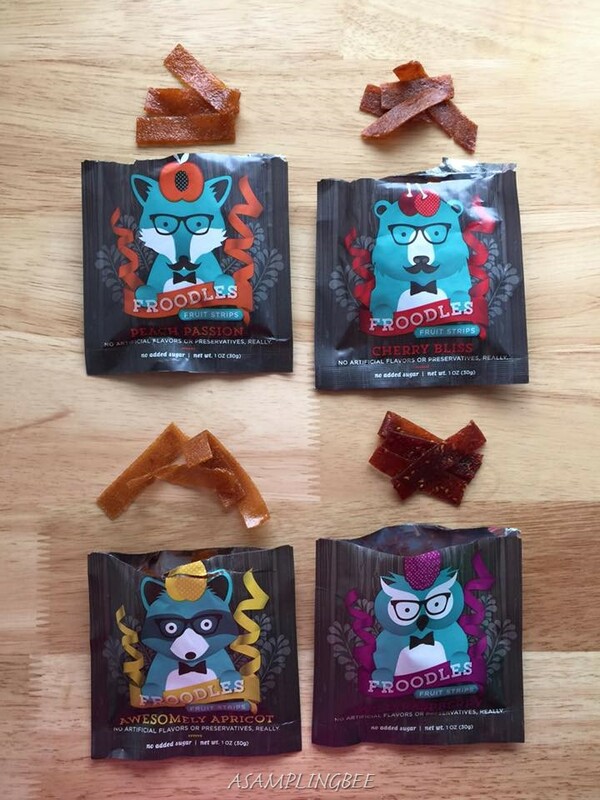 The lovely people at Froodles sent me samples to create this review. All opinions are my own. Always! 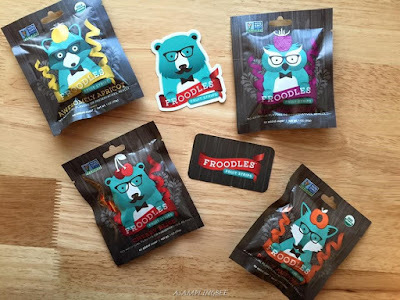 Thanks, Froodles! I have never heard of these before. I Chyna like the idea because they're not really big and fat I've always like the strips better. My kids are going to love these. They love these kinds of fruit snacks. What a great idea for a healthy kids snack! How awesome! I wish I had snacks like these when the twins were younger! I love healthy snacks. These sound super healthy and tasty for school lunches. I love that they are organic. These look so good! I think my son would really like these! My son will love that! Looks healthy and yum. Those are healthy and yummy snacks. The girls will love these fruity snacks. I haven't tried this before but this is something me and my kids would love. I have to find these fruit strips! no artificial flavour snacks are the best! This is my first time to hear something about Froodles. Looks and sounds really interesting. I love when great finds are available in on the go sized. Thanks for telling us about Foddkes! Fruit strips are my favorite snack ever. I am going to have to find these to try them. This is something I would love to try! I would just have to check the sugar content in them though. I am diabetic and as much as I could, I avoid the extra sugar in anything I eat. I bet these would be yummy though. Froodles are pretty new for me, but it sounds like something my kids would love right away. I love that these yummy fruit strips are available in 4 flavors, I would get few for my kids when I shop. Your kiddos will love them! Falls River Soap Company GIVEAWAY!